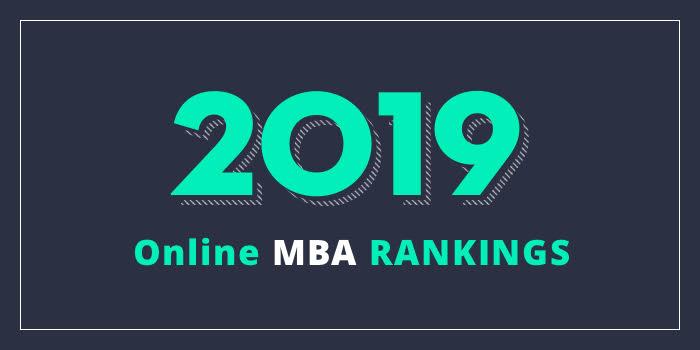 Our 2019 rankings of the Top Online MBA Programs in Wisconsin. For an explanation of ranking criteria, click here. Coursework for the University of Wisconsin (UW) Consortium MBA Program may be completed entirely online—no campus visits required. This AACSB-accredited program is the only program among UW’s peer consortial programs to grant the degree from the MBA Consortium program rather than from one of the partner schools. Available through all UW campuses (except Madison), the UW Consortium MBA features “content-integrated, theme-based modules rather than traditional stand-alone courses,” says the school. “By blending integrated core courses with a vast array of electives,” students can customize their MBA experience. The 30 credit hour program is designed for working professionals looking to advance in their respective career fields. The online format allows students to continue working while completing the program, which typically takes 2.5 to three years, once foundation requirements have been met. In addition to completing a mandatory Leadership “mini-module,” which occurs concurrently with “Developing New Products and Services,” Consortium MBA students may choose 14 credits of electives relevant to their career goals. Electives are offered in the areas of Accounting & Finance, Healthcare, Information Technology, Management, and Marketing. Students also have the option to earn a 13-credit Online Certificate that can be applied towards the schools MBA program course prerequisites. The College of Business and Economics at University of Wisconsin Whitewater (UW-Whitewater) offers an MBA Program that may be completed entirely online. The AACSB-accredited program, known as the “UW-Whitewater MBA,” highlights cases and projects that give students the opportunity to practice using critical thinking skills, the development of project management skills, and projects that help students improve their ability to work in teams and lead. Other program highlights include advanced graduate courses in functional areas like economics, management, technology, and marketing, and 11 different emphases and over 40 electives, “covering the breadth of contemporary business issues,” says the school. The programs wide range of electives allows students to tailor the UW-Whitewater MBA program to meet their interests and needs. Emphasis areas include Customized, Data Analytics, Environmental Safety and Health, Finance, Human Resources Management, Information Technology Management, International Business, Management, Marketing, Project Management, and Supply Chain Management. Students may also customize an emphasis by choosing courses across emphases. The UW-Whitewater MBA requires completion of 36 credit hours including Breadth (24 credits) Emphasis (nine credits) and Elective (three credits). If a student has met prerequisite requirements, they may be required to complete 0-14 credits of Common Body of Knowledge (CBK) courses. The number of courses required will be determined based on transcript review. Candidates with an undergraduate degree in business may not need to complete CBKs, or requirements may be very limited.